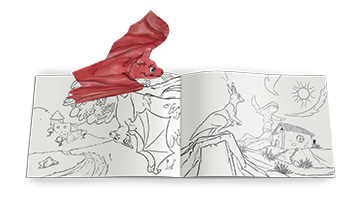 Paint, colour, or draw in this magical book and watch your creations come to life in 3D. Then go ahead and have fun by interacting with them away from the page and in your own world! A magical fairytale book that incorporates your child’s First and Last name into a creative personalised adventure. Watch as each character and letter related to their name comes to life with 3D animation and hilarious voiceovers.